Following U.S. Senator Tim Kaine’s months-long push for a meaningful, transparent debate and vote on an authorization for U.S. military action against ISIL, the Senate Foreign Relations Committee held a hearing today on the mission against ISIL with Secretary of State John Kerry – a move Kaine believes is a critical, yet overdue, first step in properly authorizing this mission. Since June 2014, Kaine has been urging the administration to seek a specific authorization for military action against ISIL while pressing his Congressional colleagues to debate and vote on the mission. 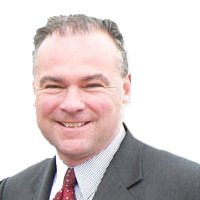 In September, Kaine introduced a draft authorization, key provisions of which have been incorporated into the version expected to now be marked up by the committee on Thursday, December 11.